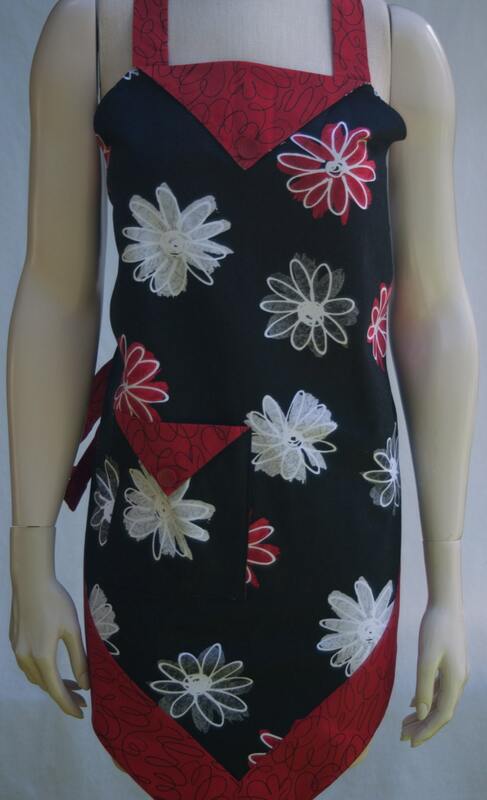 An old-fashioned apron with red, white, and black flowers. This apron features a buttoned pocket, and has a strap for your head and ties around the waist for a perfect fit. Aprons make a great gift for the baker/cook/chef in your life!